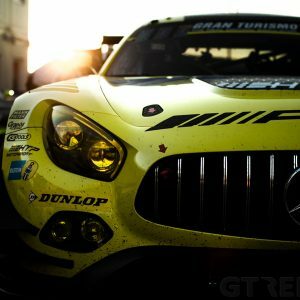 Four GT champions took to the track last weekend. In Germany, the second round of the VLN took place at the Nürburgring, while the ADAC GT Masters kicked off their season at Oschersleben. Elsewhere, the International GT Open raced at Paul Ricard and the Pirelli World Challenge held rounds six and seven at Barber Motorsports Park. 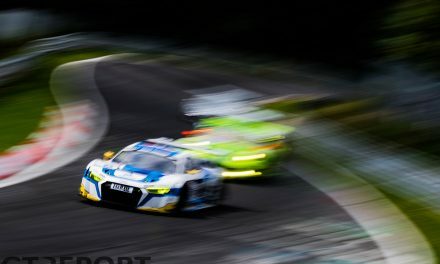 Christopher Mies and Nico Müller raced the brand new Audi Sport Team WRT Audi R8 LMS to the win in the second round of the VLN championship. A special victory, as it was the first racewin for the Mark II Audi R8 LMS. 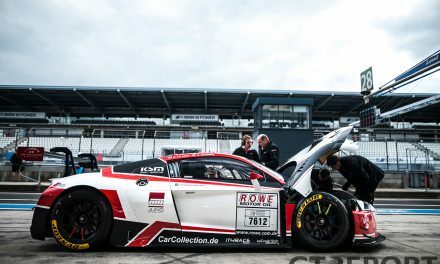 Teammates Pierre Kaffer and Laurens Vanthoor in the #37 Team WRT Audi took second place, ahead of the #7 Rowe Racing Mercedes-Benz SLS AMG GT3 of Klaus Graf, Christian Hohenadel, Nico Bastian and Thomas Jäger. The Bentley Team HTP Bentley Continental GT3 of Lance David Arnold, Christian Menzel and Guy Smith started the race from pole position, but they couldn’t stop the #10 Team WRT Audi from winning the dry then wet race. Mies and Müller started in fourteenth, but a perfect strategy and fast laptimes put them in front of the race. A minute and a half behind, the second Team WRT Audi took second place after passing the Rowe Racing Mercedes-Benz during the last pitstops. 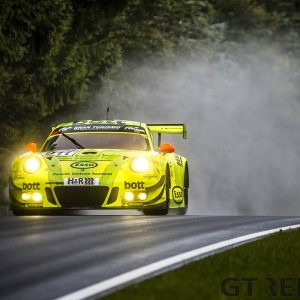 The Team HTP Bentley ended the race in fourth, but they dropped four and a half minutes to Mies and Müller, the latter winning at his first ever performance at the Nordschleife. The sixth and seventh round of the Pirelli World Challenge were won by James Davison in the #33 AE Replay XD Nissan GT Academy GT-R Nismo GT3 and Kevin Éstre in the #9 K-PAX Racing McLaren 650S. Class wins in GTA were taken by Martin Fuentes in the #7 Scuderia Corsa Ferrari 458 GT3 Italia and the #5 AE Replay XD Nissan GT Academy GT-R Nismo GT3 of Bryan Heitkotter, while Colin Thompsons #11 Porsche of Bucks County/PenVal Porsche 911 GT3 Cup won both races in GT Cup. Davison started race six from pole position and kept the lead at the start, ahead of Nick Catsburg in the #25 Blancpain Racing Lamborghini Gallardo GT3 FL2 and Mike Skeen in the #2 CRP Racing Audi R8 LMS Ultra. The race looked settled in until a full course yellow came out on lap nine. Davison and Catsburg drove away easily after the restart in lap fifteen. A late full course yellow did not mix things up at the front and Davison took his first ever victory in the Pirelli World Challenge, ahead of Catsburg and Skeen. After starting in 27th, Johnny O’Connell took a brilliant fourth position at the chequered. 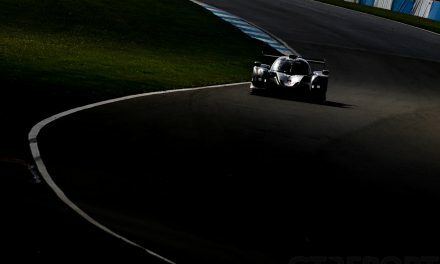 Round seven saw a double for K-PAX Racing, with Estre in first and Robert Thorne in second. Thorne started the race from first position, but lost it after fifteen laps to his team mate Estre. The McLaren works driver drove away easily after a late caution, caused by the #3 Cadillac Racing ATS-V.R GT3 of Johnny O’Connell catching fire, and stormed to his second victory of the season. Thorne finished in second position, 4.7 seconds behind the winner, and ahead of the #31 Effort Racing Porsche GT3R of Ryan Dalziel. The first two races of the International GT Open at Paul Ricard were won by the #3 Villorba Corse Ferrari 458 Italia GT3 of Alessandro Balzan and Nicola Benucci and the #51 AF Corse Ferrari 458 Italia GT3 2013 of Pasin Lathouras and Michele Rugolo. Balzan started the first race from pole position and built a decent gap to the #2 Teo Martín Motorsport McLaren 650S of Miguel Ramos and Álvaro Parente, with Ramos behind the wheel. Ramos spun after eight laps, putting him down to fourth. After the pitstops and driver changes, Benucci held a 33 second lead over the #51 AF Corse Ferrari of Rugolo, while Parente was in third. In lap 26, Parente passed Rugolo and he started to catch Benucci, but at the finish he was two seconds short of winning the first race. AF Corse fought back in the second race at Paul Ricard. Parents started from pole and held the lead for the first part of the race, ahead of Peter Kox in the #70 Kox Racing McLaren 650S and Matt Griffin in the #52 AF Corse Ferrari 458 Italia GT3 2013. In lap four, Kox was passed by Griffin and the Dutchman finished in tenth, together with Nico Pronk. Griffin was passed by Michele Rugolo in the #51 AF Corse Ferrari for second. After the pitstops, in lap eighteen, Lathouras took the lead from Ramos and cruised to victory, ahead of the #2 Teo Martín Motorsport McLaren and the #90 AF Corse Ferrari of Ezequiel Perez Companc and Raffaele Giammaria. The 2015 season of the ADAC GT Masters started at Oschersleben with victories for the #36 Schütz Motorsport Porsche 911 GT3R of Klaus Bachler and Christian Engelhart and the #7 Team HTP Bentley Continental GT3 of Jeroen Bleekemolen and Luca Stolz. Engelhart took the lead of the race after starting from second, ahead of Sebastian Asch in the #21 Team Zakspeed Mercedes-Benz SLS AMG GT3. Polesitter Luca Stolz in the #7 Team HTP Bentley fell out of the top two at the start. During the race, Engelhart and team mate Bachler built a gap of nine seconds to Asch and Luca Ludwig, until rain started to fall around ten minutes before the end of the race. Clemens Schmid in the other Team HTP Bentley went off the track and into the barriers, which meant that the race finished behind the safety car. 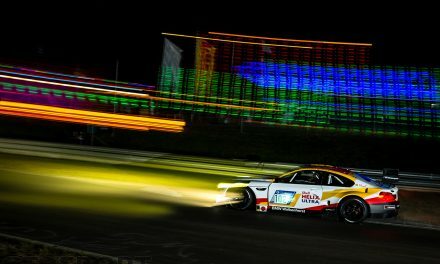 Bachler and Engelhart took the victory, ahead of Asch and Ludwig and the #42 HP Racing Mercedes-Benz SLS AMG GT3 of Harald Proczyk and Andreas Simonsen. Team HTP Bentley took revenge in the second race of the weekend. Young gun Luca Stolz and Dutchman Jeroen Bleekemolen crossed the line in first, after the #66 Callaway Competition Corvette Z06.R GT3 of Daniel Keilwitz and Andreas Wirth had to retire four laps before the end of the race. Keilwitz took the lead at the start and the duo led for almost the entire race, until a technical problem appeared. 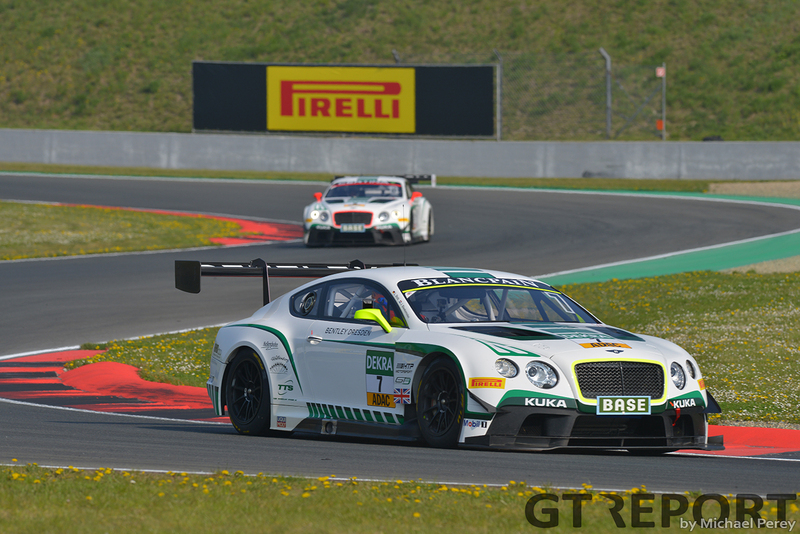 It handed victory to Bleekemolen and Stolz, who both celebrated their first win in the ADAC GT Masters, as did Bentley. The #21 Team Zakspeed Mercedes-Benz AMG GT3 of Asch and Ludwig finished second once again, in front of the #42 HP Racing Mercedes-Benz of Proczyk and Simonsen. Student journalism but most of all addicted to racing, Bjorn visits Circuit Park Zandvoort and TT Circuit Assen on a regular basis. 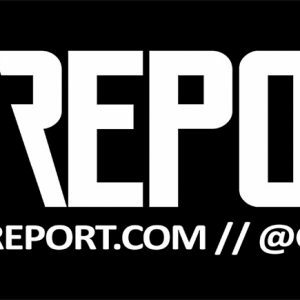 Also writes for Autosportlive.nl.